The name Beretta is synonymous with uncompromising quality and history. The company origins can be traced back to the early 1500’s, with the first recorded sale in 1526 to the Arsenal of Venice. With nearly 500 years of experience, it’s safe to say they know what they’re talking about! Beretta’s experience in the shooting field has led to an innovation in the design of their products, and by understanding their customers, Beretta have created a legacy of high quality and performance products that won’t break the bank. One of the reasons Beretta is so popular is that they have created their own thermoshield gun protection, and also offer double density padding to protect against impact, whether you’re carrying a gun or cartridges, it acts like an airbag. With the distinctive orange detail on blue, the Gold Cup range stands out for the right reasons. With the capacity to hold 125 cartridges, the Gold Cup Cartridge bag is waterproof, lightweight and sturdy. With multiple pockets, and a carry handle as well as a shoulder strap, this is a great product to start, or add to, your Beretta collection. The Gold Cup range also includes the Takedown Barrel Gun Slip, which is a soft gun case, and has an adjustable strap. This will hold barrels upto 32″, and also features the thermoshield protection against any impacts. In subtle colours of the countryside, the Retriever range combines the thermo-formed profile of protection with a lightweight yet sturdy feel. 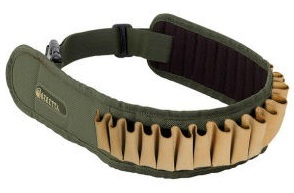 Available in a 12 or 20 gauge, the Retriever Cartridge Belt is adjustable in length, and has 30 leather loops. Using a clip fastening for ease of use, you can quickly put the belt on and off, while the Beretta logo gives it the mark of quality. In recent years holdalls have evolved, and now many come with discreet wheels and a telescopic handle; the Retriever Holdall can be pulled, held and carried and features 2 zipped openings. If you are using the handle to pull it along, this bag has 2 legs which allows it to stand upright. 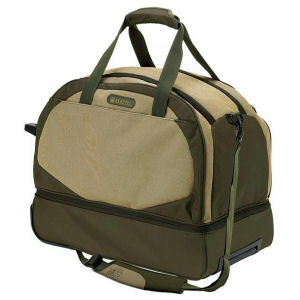 The Greenstone range is comprehensive in its variety of products, including game bags. 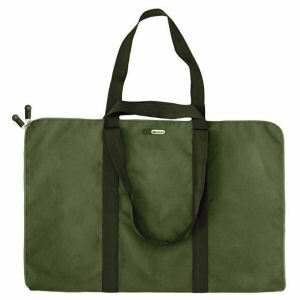 Not only is the Greenstone Flat Game Bag lightweight and waterproof, it is also washable. It is versatile as it can be carried by hand or over your shoulder, whilst still being a good size. Measuring 89x59cm / 35×23 inches, it is big without being bulky. Taking inspiration from the Gladstone shape is the Greenstone Large Game Bag. 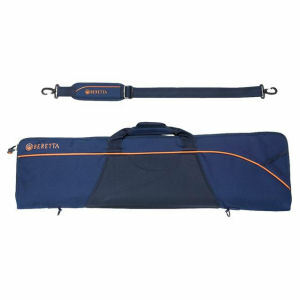 Each item in the range has the Beretta thermoshield protection, and the large game bag has the same features as the flat game bag in terms of being waterproof, lightweight and washable, and it too has a handle and shoulder straps. 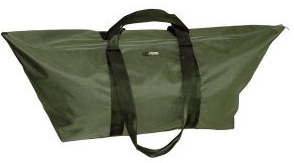 The Large Game Bag measures 54x32x52 cm / 21x12x20.5 inches in size giving great capacity, and it can also be folded down easily when not in use. 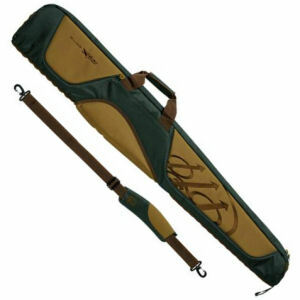 We currently stock one item in the Xplor range: the Beretta Xplor Shotgun Slip 52 inch. This range has the distinctive Xplor design, and one of the best features is the lining of the Slip which helps to eliminate excess oil and moisture. 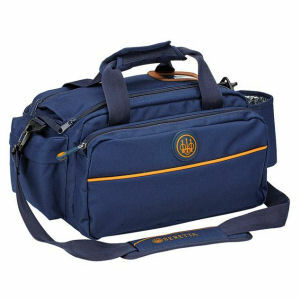 The padded handle makes this easy and comfortable to carry, and an adjustable padded shoulder strap comes included. Beretta use a differentiated fabric structure in this and other products for the thermoshield which provides protection where it is needed: for the barrels and sight, for the stock, and for the receiver. A leather and canvas mix form the look of the B1One range which is water and scratchproof, whose products have been designed with travel and transport purposes in mind. 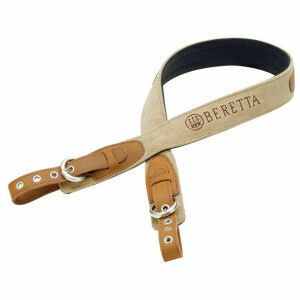 The B1One Leather and Canvas Shotgun Sling has a non-slip backing and leather buckles. If you have a rifle they do a B1One Leather and Canvas Rifle Sling too. The B1One range includes cartridge bags, such as this Medium Cartridge Bag which holds 150 cartridges. Double protection for the opening, and a thermoshield base keep the contents intact, and a padded shoulder strap ensures the cartridge bag is comfortable to carry around. The High Performance Range has been developed for clay and target shooters, and have a distinctive blue on black design. All bags and cases come with shoulder straps, and the High Performance Range has been developed to be waterproof, sturdy and lightweight. If you’re looking for one bag to fit everything you need, the High Performance Wheeled Trolley is for you. Similar to the Retriever Holdall, the High Performance Wheeled Trolley can be pulled, carried or held, but it also has a pocket or space for most things you could think of. Measuring 41.9×30.5×30.5cm /16.5x12x12 inches approx there is plenty of room inside. Beretta, Beretta gold cup, Berretta accessories, cartridge bag, shotgun slip. Bookmark.